The Russian Federation is the largest state in the world, consisting of more than 80 regions, and is home to over 145 million people. It is composed of many nationalities and religions, all of whom comprise the multinational Russian people. However, Russia is not only a state, but it is also one of the regional civilizations, of which there are currently three on our planet: the Western civilization, which we wrote about in the article “Anatomy of the Dominant conception of Globalization” http://newyouthpolicy.org/en/articles-en/195-dominant-conception-of-globalization, the Eastern civilization, which we wrote about in the article dedicated to the question “What is the East suggesting to the World at the new stage of Globalization?” http://newyouthpolicy.org/en/articles-en/207-east-project-of-globalization-en. Nevertheless, the foregoing articles did not deal with the question of what a civilization really is,how one civilization differs from another or how civilizations can develop. So what is a “civilization” and how do civilizations differ from each other? “A civilization is thus the highest cultural grouping of people and the broadest level of cultural identity people have, short of that which distinguishes humans from other species. It is defined both by common objective elements, such as language, history, religion, customs, institutions, and by the subjective self-identification of people.” . “In one of his works, Russian historian E. Frolov described [the most widespread characteristics of civilizations]: common geopolitical conditions, an originally common language, a commonality or closeness of economic and political systems, culture (including religion) and mentality” . But such approaches only marginally touch on the civilizational essence — the core which identifies a particular civilization — and reveal only some superficial elements of this core: culture, customs and prevailing religions. A more adequate approach is to say, that if one and the same meaning of life is the ideal of different peoples, and they are in one way or another working towards this ideal, then a supranational community of people appears — a civilization. It informally unites multiple peoples , even if their ideals have not yet become reality. In such a perspective, the known history of mankind is the history of regional civilizations, each of which is characterised by certain ideals, differentiating it from other regional civilizations. We distinguish civilizations based on their ideals  — the meaning of life carried by the worldview of their representatives. This meaning of life manifests in attitudes towards truth, justice and love. That is, each civilization primarily differs from others in the nature of its ideas and ideals, which it carries throughout its history. Therefore, different civilizations can be distinguished based on the differences in their ideals. The Russian civilization, like others, carries certain ideals and meaning of life that are specifically intrinsic to it, and are brought into life by its representatives, to the extent of their abilities. Through consideration of the known written history and the analysis of archeological findings, as well as the Russian language, one can see the civilizational essence of Russia. First we will describe the algorithm of its development in historical perspective. It can be said that currently, the Russian civilization is generally within the boundaries of one state — the Russian Federation. But since Russia changes its boundaries with the passage of time, then certain countries, which are not currently part of the Russian state, can be considered part of the Russian civilization (e.g. Belarus, Kazakhstan). Historically, the development of the Russian civilization is of a pulsating-expanding nature. 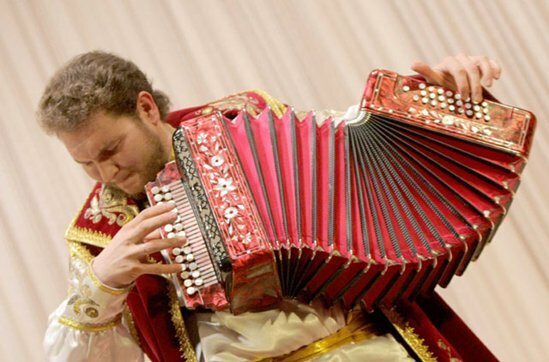 The best analogy would be the hormoshka (garmon’), which shrinks under pressure, then expands absorbing fresh air. Similarly, the Russian civilization shrinks and expands like a hormoshka, becoming larger over time. Countries, which have decided that they cannot independently solve their problems, enter the Russian state and therefore the Russian civilization. When the Russian state undergoes periods of crisis, periphery regions usually break off, attempting to solve their problems independently for some period of time. When the Russian state overcomes the crisis, creating new approaches to various issues (economic, political, philosophical), then the periphery which failed to solve these problems independently, rejoins the Russian state, resulting in the emergence of a new state. It can be recalled, for example, how the Kingdom of Georgia seceded from Iran and became part of Russia firstly as a protectorate, and only later as a Russian Province . Today, such an example is Finland. Finland has a certain attraction to Russia for a several reasons. The main reason - it was part of Russia and was influenced by Russian culture, and likewise, the Finnish culture influenced Russia. As a result, there are currently close economic and cultural ties between the two countries. An interregional conglomerate is a principle of civilizational development under which national cultures are replaced by a single unified culture. In a conglomerate, governance is executed by a single interregional center. The main goal of the interregional conglomerate's center is to establish a centralised control mechanism to provide the same ideological model to all of its members. A multi-regional block is the alternative type of civilizational development. The difference between a multi-regional block and interregional conglomerate is that сhoosing civilizational goal vectors and development of conceptions to achieve them in the former is not centralized, but distributed throughout the block. Even if a regional center focuses in itself administrative authority over affairs of the whole block, ideas, goals and methods to achieve them are drawn from all over the area of the multi-regional block, which is why it is vitally interested in cultural diversity. Also, unlike the conglomerate which replaces national cultures by a single unified culture, a block supports and participates in the development of local cultures, particularly in those parts that are essentially similar to its ideals. Expansion of a block is different than that of a conglomerate. A conglomerate destroys the goal vector of the annexed piece and replaces it with the goals dictated by the interregional center; whereas a block integrates those goals from the participating region’s goal vector that are closely related to its own goal vector. Effectively this means that the block actively assists its members in achieving their goals by sharing responsibility for them. As a result, sometimes participating block members may decide to integrate with the assisting entity because of the common vector of development, whereby the new region becomes a part of the block (civilization). "interregional conglomerate", or simply "conglomerate". A typical example of a conglomerate is the Euro-American conglomerate of the "Western" civilization, which has a single control centre that makes all the decisions and brings local national centres under control. This center has been getting stronger over the course of western civilization's development through elimination of ruling elites on territories that make up the conglomerate . This was done to ensure that local control centers would not be able to develop their own policy, alternative to that of the conglomerate's center, and organize a revolt. Like China and Japan, the Russian civilization gravitates towards the block type. Instead of being eliminated, governing elites of the territories that entered the Russian civilization were integrated into the Russian elite. There are many historical examples of local elites’ integration, including the Bagrationi (Georgians), the Yusupovs (Nogais), the Karamzins (Crimeans), the Suvorovs (Tatars), the Apraksins (Salamhir), the Davidovs, the Arakcheevs, the Golenishchevs-Kutuzovs (all three have tatar roots), the Tolstoys (German), the Barclay-de-Tolly (Scottish), the Cherkassky (Kabardin) and many other clans that represented ethnic national elites. According to the block governance principle, when the block center is destroyed or becomes incapable of performing its functions, another region takes on that role. Here is a historical example: when Moscow was incapable of performing its governing role, its functions were carried out by the City of Nizhniy Novgorod. It should be noted that the abuse of power definitely occurred throughout the history of the Russian civilization, and there were episodes when block governance principles were partially abandoned. But these occurrences did not last over long periods of time, and ultimately that is the reason that local languages and identity of the ethnic cultures were preserved until present day. In the first part of the clip, residents of Russia all have "Russian" on their T-shirt. In the latter part, they raise tags with their national background ("Korean", "Lebanese", "Armenian", "Lituanian", "Uzbekian", "Belarussian", etc.). the Russian civilization is composed of many peoples, as well as diasporas, which live around the world and adhere to different faith-teachings and religious perspectives, but are united by ideals common to all of the peoples entering it, and the core of which is located in Russia. 1. As an ethnonym, referring to a particular nationality, but in this capacity the word “Russian” began being used in only the last several centuries: in the 19th century census data of the Russian empire, populations of different nationalities were listed, and among others was a row titled “Russian, including Malorossian (“small Russian”, i.e. Ukrainian – NYP), Belorussians, Velikorossians (“great Russian” – NYP)” . Earlier, different words were used for the corresponding ethnonyms: the words “Rusin” (earlier times) and “Rus” (later) . Grammatically, the word “Russian”, as already stated, is a collecting adjective, which is organically applicable to different nationalities and peoples, even those, who have never been part of Russia. This manifests, for example, in such expressions as “Russian Tatar”, “Russian Jew”, “Russian Velikoross”, “Russian Ukrainian”, “Russian Canadian” etc. At the same time, it is impossible to say “Canadian Russian” or “Jewish Russian”. Such an understanding of the word “Russian” can be noted among well-known political figures. In the Caucasus, I am an Ingush; in Moscow or beyond the Caucasus, I am a Caucasian; and beyond Russia — a Russian. Other examples are given in our article «Russia-Rus' and National Relations in Russian Culture» (http://newyouthpolicy.org/ru/articles-ru/236-rus-national-relations). It is necessary to mention certain characteristics that formed the distinctive Russian identity. One of them, which facilitated the unique civilizational development of Russia, is the fact that since ancient times and until now, throughout the entire Russian territory there has been a very high productivity of ecosystems in nature . As a result, when the bases of the Russian character were being developed (during times before the baptism of Russia), on the territory of Russia-Rus’ there was neither slavery nor internal wars. The reason for this is that resources were plentiful, and thus there was no motivation to initiate wars. Why take something from others when you already have it yourself (e.g. forest, land, fish, etc.)? Otherwise the resources spent on conquests would have been more than the amount they returned. Another characteristic is the communal nature of habitation — the obschina —  in village communities. To better explain this concept, we can make a comparison with India, which possesses a very rigid caste system (i.e. caste status is determined by biological descent, transfer between castes as well as inter-caste relationships are difficult or impossible). By contrast, the Russian obschina had a communal nature: each individual carried out a specific duty in the community and received an equal share of the collective result. This way, the society developed positively and the communes were interested in employing each individual according to his/her abilities. If an individual had capabilities appropriate for governance, he/she would have been assigned an executive position. If the individual had possessed capabilities appropriate for warcraft, they would have been a warrior. If the individual had been interested in agriculture, they would have been a farmer. Stemming from this, it was a natural phenomenon that the wisest, most experienced and elderly achieved executive ranks. The final factor facilitating the unity of the Russian civilization is the Russian language. The Russian language strongly influences the character of a Russian person. Many terms that enter the Russian language generally do not damage, but enrich it. For example, during the 90s the word “cash” entered the Russian language, but it was transformed into the word “kasha” (a type of Russian porridge), and later – “navar” (referring to a by-product of boiling something). And there are many other similar examples. The hallmark of the Russian language is its uniformity over a huge territory. Even if somewhere close to Vologda people accent on the letter “o”, and in Moscow on the letter “a” , people will still understand each other. At the same time, two people in England, for example, one from the South, the other from the North, do not understand each other . In summary, it is precisely the uniform language that allowed for the effective coexistence of people on a large territory, and allowed for progressive expansion of the Russian "antenna array". Still from the film «Russland. Russia — kingdom of tigers, bears, and volcanoes» . It is obvious that if you look at the stars through binoculars, you will see them worse than through a telescope. If you look through a telescope, you will see them worse than through a radio telescope. A radio telescope is an array of three antennas in different locations. This array, in turn, creates a common field via which deep outer space may be accessed. The larger the number of elements and sparsity of the array is, the higher its penetration capability. The analogy can be extended to the human species: as it is said, “one mind is good, two is better”. During his time, scientist Vladimir Vernadsky had named these mechanisms of forming the “collective mind” of the planet - the “noosphere”. All of the aforementioned factors, having influenced the linguistic, psychological and domestic character of Russian people, had also facilitated the formation on a large territory of something similar to the “antenna array”. This “antenna array” composed of people speaking the same language, living a common way of life, and possessing one psychological character represents a huge biological supercomputer. Accordingly, when the entire country unites in cogitating over some common problem, and such moments have occurred numerous times in Russian history, the results are fantastic and break-through. Although each particular invention or achievement is associated with a certain individual, in reality, it is the achievement of the entire nation. Of special interest is the setup of governance in ancient Rus’. In ancient times, governance was in the hands of volkhvy, a caste otherwise known as zhrechestvo (a caste of “priests” in pre-christian Rus’) [23, 24]. Access to the zhrechestvo was open to all members of society, as there was no clannish isolation like there was in India, as described above, and any willing person had the opportunity to enter the zhrechestvo. This is in accordance with the fact that people’s abilities to identify and solve social problems are distributed irrespective of their clan or class membership to some social “elite”. In that regard, the more open possibilities there are for people to enter societal governance, the more harmoniously and crisis-free society develops. One of the well-known facts about the activity of zhrechestvo is a chronicle mentioning Oleg the Prophet (Oleg of Novgorod) who encountered a member of the zhrechestvo (singular - zhrets) . This encounter is vividly expressed in “The Song of Oleg the Wise” by Alexander Pushkin . Painting by Viktor Vasnetsov, «Song of Oleg the Wise». The described governance system in Rus’ had failed. The primary reason for this was that when the moment came to present their own variant of globalization, as an alternative to the spreading Western variant of globalization, the zhrechestvo did not do so, failing to take the global responsibility for the fates of humankind by the principle “That's not my street”. “To foresee is to rule”. For example, in the past the process of globalization for many was unobvious, and thus those who were not able to identify this process became subjugated in the plans of those, who understood what globalization is and how it can be controlled . Exactly for this reason many regional civilizations in the past, and many countries at present, were and are being deprived of their own national or regional executive power. Since the end of the 1980s, this problem was studied by Russian scientists, and the result of their research was the Sufficiently General Governance Theory (alternatively translated as Sufficiently General Control Theory) . The key concept of the Sufficiently General Governance Theory is the complete function of governance. The complete function of governance is the entire sequence of actions necessary for governing (including managing, controlling, ruling) any processes or phenomena, beginning with the discovery and description of processes, tendencies and problems (the external factors), ending with the accomplishment of the aims set with respect to them. The steps of the complete function of governance are shown in the diagram below. Based on the complete function of governance, it can be understood that in a society, apart from the three types of power typically taught in schools and political science faculties (the legislative, executive and judicial powers), there are two more, superior types of power. Namely, the ideological power, and the highest intrasocial level of power — the conceptual power. A conception is a plan, high-level design of the entire society’s life,and thus social life is formed by those, who form such a conception. Conceptual power is the power of ideas of social life, which prevail for long periods of time, and the power of people who are capable of formulating, modifying, and bringing such ideas into life. The conceptual power is autocratic by its very nature, because one may reach the level of conceptual power only by attaining a certain level of understanding of social processes, bypassing all democratic procedures. Therefore, acquisition of titles or the passing of democratic procedures in the internal structures of society does not in any way attest to the conceptual power of an individual. Conceptual power is responsible for the execution of the first four steps of the complete function of governance (1-2. the identification and description of external factors, 3. goal-setting with respect to them, 4. the formation of the conception — the means of achieving set goals). The purpose of the ideological power is to present the conception in simple, understandable, and attractive forms for individuals in society. Accordingly, the essence of the idea (the conception) may always stay the same (for example, slavery), but the “package” may be different (for example, liberalism, Marxism, pseudo-Islam, convergence theory, etc). and the judicial power protects the reigning conception from the intrusion of other conceptions. Figuratively, the conceptual power establishes a “corridor” for societal development, and the other types of power facilitate the movement along that “corridor”. At present, Russia is in a state of conceptual indeterminacy, i.e. indeterminacy in the goals and in the acceptable/unacceptable means of accomplishing them. This manifests in the fact that in Russia’s governance there are obvious contradictions, when simultaneous actions are aimed at mutually-exclusive goals (mutually-exclusive conceptions), as well as in the current Russian constitution, which prohibits any state ideology (article 13.2). However, on November 20th, 2013, Russian president Vladimir Putin had signed a decree of introducing a Conception of social security  — a step making it clear that there should be a certain conception that will be the basis for governance and development of society, and that the entrance into that conceptual power is open to all willing individuals. The Russian conception of globalization is not globalization “for Russian people”, but a variant of globalization for everyone, presented by Russian people who want, together with everyone else, to live in righteousness. In contrast to the dominant variant of globalization and the Eastern alternatives  which are offered from the perspective of various political “elites”, the Russian variant is offered from the level of a social initiative. This social initiative is a part of the Russian multinational people that understands the objectivity of the process of globalization and the subjectivity of ruling it, and, based on the supremacy of conscience in decision-making, develops and brings this alternative variant into life. 6) peaceful coexistence of all peoples and cultures based on the principles of constructive dialogue. We will look into each of the principles in more detail. 1) Preservation of the ecological balance of the biosphere may be achieved via an economic model, which will allow the biosphere to naturally recover. In practice, it is the organization of a system of education that prepares staff for all spheres of human activity, including manufacturing, in such a way that they could provide the preservation of ecosystems in regions where humans work and live. This also requires setting a 0% interest rate, since under the pressure of repaying compounding loan interest to banks, enterprises are forced to “make money” faster and faster, leading to thoughtless use of resources and accumulation of waste, impeding the biosphere from recovering in a natural manner. Under interest-free lending, the bank-creditor acts as an investment fund of sorts, which receives profit depending on the actual success of the business proposal . 0,2 % — area for heavy industry and recycling . Governance must be based, first and foremost, on the needs of the biosphere, which are to a certain extent reflected in the scheme of territorial use, developed by Doxiadis. The next image presents the interdependence of particular executive tasks in realizing the conception of sustainable development. Based on Doxiadis’ scheme, it is possible to develop a sustainable bio-ecological state policy. One of the aspects of that policy should be the determination (for each region, having its own specifics) of an acceptable ecological niche, which can be occupied by a civilized society (this is reflected in blocks 1 and 2 of the governance cycle algorithmic shown in the figure above). This, in turn, assumes a relinquishment of the historically set way of life, and the transfer to landscape-estate urbanization — a combination of the comfort of urban life and the healthiness of rural life — which will allow to sustain ecological stability and the reproduction of healthy human generations. At the same time, this approach is free from flaws of the two aforementioned modes of life, since it is based on the modern and perspective technologies, as well as appropriate organization of micro and macro economies. This opens the opportunity of developing a demographic state policy. This policy must determine the quantitative and qualitative (medico-biological and socio-cultural) indicators which a population of every region must possess, as well as the acceptable parameters of population migration between regions. It is important to note that migration must be considered both from the perspective of preventing any possible conflict in intrasocial relations, as well as in bio-ecological aspects. At the same time, it is important to understand that demographic policy is a factor, to which political economy must be subordinate, not vice-versa (as it is in the liberal market economic model), although demographic parameters underlie possible economic activity. Whereas the life of a civilized society is impossible without various types of infrastructure, the demographic and bio-ecological policy must be linked to infrastructural policy (which is reflected in block 3 of the governance cycle algorithmic). And only then, based on the infrastructure policy, is developed the economic policy of the region and the processes of its execution. After concluding those stages, again comes the evaluation of the territory and the correction of bio-ecological and demographics policies. Thus the cycle is closed . free time for healthy rest, leisure, and self-education. Satisfaction of all these needs assumes, among other things, the replacement of the current urbanization paradigm (megapolis urbanization ) with landscape-estate urbanization, basing on the aforementioned land use structure that provides the conditions for reproducing a biologically healthy population. Examples of such projects are “Lowrise Russia”  and “Lowrise planet” . State policy must not support, but, on the contrary, should limit all tendencies of degradational nature, including the proliferation of various drugs in society (including nicotine and alcohol), and must prohibit the artificial stimulation of demand for goods in the demographically defined spectrum, which is done nowadays by means of “planned obsolescence”, the fashion cult imposed by marketing, etc. 3) Accessibility of higher education and any knowledge to members of all social groups. This is one of the fundamental principles allowing for social equality, if equality is understood not as equal access to opportunities of consumption, but as equal access to information about societal governance (first of all – access to information of a worldview nature, to the methodology of cognition and creation). In such a social order, the members of all social groups know the priorities of development and the methods of governance in the society, thereby increasing the quality of life and sense of security of all its members, since the understanding of social processes carries with it personal responsibility for them. This also allows to increase the quality of labor and the level of contribution by each person. Equal access to social governance information establishes a limitless supply of governance and executive staff in a society, and in the case of low quality of social governance, it becomes possible to replace the ineffective governance apparatus without damage, shock, or loss of governance quality. Economical provisioning of the aforementioned goals assumes that the state economic policy should be aimed at achieving inherently non-economic goals. The principal aim of the economy is the guaranteed satisfaction of the demographically defined spectrum of human needs in an environmentally-safe manner. This requires transition to an organizational-and-technological approach, which involves application of natural (physical) values in economic computations instead of financial ones. In order to achieve this goal, it is necessary, above all, to shift to a metrologically competent unit of measurement (i.e. an adequate price-list invariant) . As long as electricity generating plants used in the production process underlie manufacturing of the overwhelming majority of goods and rendering of most services, the best choice for the price-list invariant is electrical energy (i.e. kilowatt-hour (kWh) of energy consumption) . The credit-and-finance system should intrinsically be the means of integrating all economic branches (micro economies) into a single unified macroeconomic system. Taxes and subsidies regulated by the credit-and-finance system should be used by the state, on the one hand, to adjust macroeconomic parameters through reallocating funds from more profitable branches to ones less lucrative (yet exceedingly vital), and on the other hand, to subsequently increase the capacities of the latter in compliance with the socio-economic development plan. The credit-and-finance policy of the state should put a ban on interest rate, as well as commodity markets speculations so as to prevent asset value bubbles. In other words, the state should set a veto on wringing money out of thin air [39, 40]. “As I would not be a slave, so I would not be a master. This expresses my idea of democracy”. Indeed, to have a "right" to permissiveness with regard to different social groups is the ultimate dream of a minority. The majority understands the destructive nature of this concept for themselves as well as the entire society. For example, in some of the world's armies noncommissioned officers put into practice their “right” to permissiveness with regard to the rank and file as long as the latter have not learned the charter. The same is also characteristic of "elite" groups’ conduct with respect to "plain folk", as long as the latter remain ignorant in matters of governance. Understanding this, Vladimir Lenin once said that every cook should learn and know how the state is governed. 5) The opportunity to realize individual cognitive-and-creative potential professionally, providing every person with work in conformity with the principle “from each according to their ability, to each according to their efforts”, which is described above in reference to communities in ancient Russia, as well as Ivan Efremov’s novel “The Bull’s Hour”. The planning of economic development mentioned earlier, as well as steps stimulating forms of collective entrepreneurship (including artels and cooperatives), enables the state to put the aforementioned principle into action. But it is access to all levels of education and satisfaction of demographically defined human needs that opens up opportunities for professional self-realization and, therefore, is a fundamental condition for cognitive-and-creative development of all people. “It is difficult for me to imagine what "personal freedom" is enjoyed by an unemployed person, who goes about hungry, and cannot find employment. Real freedom can exist only where exploitation has been abolished, where there is no oppression of some by others, where there is no unemployment and poverty, where a man is not haunted by the fear of being tomorrow deprived of work, of home and of bread. Only in such a society is real, and not paper, personal and every other freedom possible.” . 6) Coexistence of different peoples and cultures, preservation of uniqueness and distinctive character of each of them, as well as their development through a common will to arrive at the truth. In practice, it is seen in the international and intercultural activity of various NGOs, which, by means of constructive dialogue (a conversation, where a common opinion is reached by revision of possible mistakes that may be initially characteristic to each side) build a bridge for arriving at a mutually acceptable solution and implementing it into life. Another example, from the mass-media sphere, is the channel “Russia Today”. Although the channel is inherently pro-Russian, instead of promoting of various political forces it presents to the viewers an analysis that covers “both sides of the story”, or at the very least — provides an opinion that is alternative to that dominant in the western and liberal mass-media. This can serve as the basis for thoughtful comparison and development of one’s own opinion . In order for such dialogues to be effective and generate results, it is important to understand and distinguish between different variants of relations between representatives of different nationalities. This topic is covered in the following aside on national relations (extract from our article “Russia-Rus’ and national relations in Russian culture” http://newyouthpolicy.org/ru/articles-ru/236-rus-national-relations). National self-awareness is an individual’s conscious perception of culture-specific aspects (uniqueness) of his/her culture, its distinction from other cultures. At the same time, the individual consciously acknowledges the culture-specific aspects (uniqueness) of other peoples’ cultures, and their significance for the historic development of humanity. This is the optimal relation of an individual towards other nationalities. Nationalism is fundamentally different from national self-awareness. It is expressed in an individual’s conscious perception of culture-specific aspects (uniqueness) of his/her culture, and simultaneous denial of other cultures’ uniqueness and significance for humanity. Nationalism is usually manifests in idealistic, zombie-like perception of one’s own culture, inability to acknowledge its flaws, and aggressive ignorance toward other cultures. Racism is a conviction that personal qualities are determined first and foremost biologically (i.e. by belonging to a specific people or race by birth). In a racist perception, culture is secondary to biological descent, and human dignity, or full capacity thereof, is not possessed by those who descend from other peoples or races, or mixed families. Accordingly, in the racist perception, even if the “biologically inferior” acquire the culture of “biologically superior”, they do not become members of the “biologically superior” society. Nationalism and racism are not the same phenomenon. Nationalism may not be racist, since it may attribute full human dignity to representatives of other peoples/races who have acquired the “correct” national culture and assimilated into it; whereas racism completely excludes this possibility. In many cases, nationalism and racism get entangled and fuse into a whole. Another concept related to the ideas of national identity is nazism. Nazism is the product of nationalism or racism, manifesting in attempts to exterminate other peoples and their cultures. The basis for nazism may also be religious intolerance, since religion could be an integral component of a national culture. Internazism is essentially the same as nazism, but is executed by mafia activities of various international diasporas, not by a single people and its state. There is also a difference between fascism and nazism. uses various justifications to suppress those who doubt the righteousness of the oligarchy and its policy, or those who are suspected of doing so. In principle, it does not matter if the ruling oligarchy acts publicly and ceremonially, or if it acts privately and secretly while assuring the society that it does not exist. Neither does it matter if fascists themselves realize that fascism is expedient precisely in impeding each individual from developing him/herself as a human being – from realizing his/her personal development potential. As a result, fascism is a general concept, enclosing the concepts of racism, nationalism, and (inter)nazism, because all three may only exist in a fascistic culture. The concept hierarchy is demonstrated in the diagram below. Internationalism is a heterogeneous phenomenon and the sense of the term itself is ambivalent. By initial declarations, internationalism is an ideology preaching friendship and cooperation among peoples/nations . However, the historically real internationalism, as it appears in political practice, assumes that all historically set cultures and the peoples who carry them are immaculate and vice-free, although some particular representatives may be vicious and condemnable. This places cultures and peoples as a whole, including diasporas, outside rational analysis and criticism of their way of life (precisely this is called “tolerance” and “political correctness” in bourgeois liberalism). secondly, making the social groups, representatives of a national culture, not responsible (first and foremost – not responsible morally and ethically) for producing the vicious individuals, as well as for the results of actions of these individuals. As a result, under the ideological reign of internationalism it is impossible to discover vices of a culture, thus it becomes impossible to eradicate these vices. Thereby, internationalism blocks social development, predetermining the failure of the “multiculturalism” policy (which the leaders of European states have recently admitted to ) and excludes the possibility of achieving harmony in national relations. the establishment of one or several most common languages serving as the communication medium and a basis for cultural unity of different nationalities, allowing to develop each of the national cultures, as well as the culture uniting people of all nationalities. This is a necessary, but not a sufficient condition for a multinational culture’s development. “Telling the truth is easy and pleasant”. As stated in the first article of the cycle (http://newyouthpolicy.org/en/articles-en/195-dominant-conception-of-globalization), globalization is the objective process of the construction of a culture,uniting all of humanity, and is characterised by the integration of all countries and peoples into a common culture. Globalization manifests as the process of mutual influence of national cultures on each other. In our time, this mutual influence is ever-more intensifying as a result of increasing economic and technological integration of different states. With it, the interaction of representatives of different civilizations, of different conceptions of globalization, will also intensify. As a result of the increasing role of Russia in the international community, as well as international events (like the past Olympic games in Sochi, the BRICS summit, and others), there will be an increase in interest to the Russian language and Russian culture. This tendency is reflected in the fact that Russian has recently moved into second place among popular languages used on the Internet . This way, for many people the opportunity will open to access and comprehend the developments of the Russian variant of globalization. In an environment of a multiplicity of conceptions of globalization, prospects of globalization will be characterised first and foremost by the struggle of conceptions of globalization (in essence, ideas) for people — supporters of each of them. But globalization is such, that if it is considered as a “game”, then it can only have one winner, though this winner may reach victory after becoming significantly modified during the “game”. This modification may happen both as a result of relinquishment of characteristics previously inherent to the winner, as well as acquisition of new characteristics previously absent, by means of, among others, acquiring characteristics of defeated “rivals” (other conceptions of globalization) . The guarantee of victory for the winning conception is its supremacy over other conceptions in the capacity to resolve systemic problems and cultural crises, as well as highest correspondence to humanity’s potential of development. A nation (nationality) is a historically set, stably-existing community of people, which formed on the basis of common: 1) language, 2) territory, 3) meaning of life, manifesting in integrity and unity of social self-governance, 4) psychological qualities, 5) manifesting in a common culture. Only all of the aforementioned features, taken together, define a nation. A people is more than a nation. A people is a nation inhabiting an area where its national culture is dominant, as well as national diasporas (i.e. carriers of the same national culture) but inhabiting areas of dominance of other national cultures. 2. "Between Self-defense and self-expression"
What does a person begin thinking about, when he/she can no longer worry about money? The shift from “survival values” to “self-expression values” were noted by sociologists in their study “Worldwide values”. Its latest results were conveyed to “Ogonek” by Ronald Inglehart, one of the authors of the study and professor at University of Michigan. — What are “self-expression values”? They refer to care for the environment, tolerance to different opinions, aspiration to take part in decision-making. They influence the attitude towards raising children, making the nurturing of imagination and tolerance more important than the habit of painstaking work, and a high regard for an atmosphere of trust and tolerance. Overall, a society that has strong self-expression values, tends to display a higher level of trust between people. — What values does Russia currently live by? What did the study show? At the beginning of the 90s, Russia was experiencing severe economic shocks, a destruction of all social structures, saw an increase in crime rate and decrease in life expectancy. All these were signs of instability and caused the traditional values and the values of survival to clearly express themselves. But right now the economy is developing and we may expect a growth of other values. However, I believe that if you grew up with a feeling that you need to fight for your life, that is a very important, fundamental feeling. With such feeling your entire life strategy is directed only on supplying yourself with a 100% warranty of survival. Such a state of affairs begets a defensive manner of behavior and suspiciousness towards people. — Is there anything higher than the values of self-expression? I won’t be surprised if we discover something like that in the future. I think that will occur once the society becomes modernized. Until now in history we had been observing two important phases of change in of values: the first one is the transfer from pre-industrial society to an industrial society and a simultaneous transfer from traditional, religious values to secular, rational values. The second phase is the transfer from an industrial society to a postindustrial society, entailing the transfer from the values of survival to the values of self-expression. I am much doubting that this is the last phase in history, but for now it is rather hard to predict what will happen in the future. Something that will come to replace an informational, knowledge-based society is unknown, perhaps, by everyone. Image 6. A map of 67 nations of 7 cultural orientations (Schwartz, 2004). Image 8. 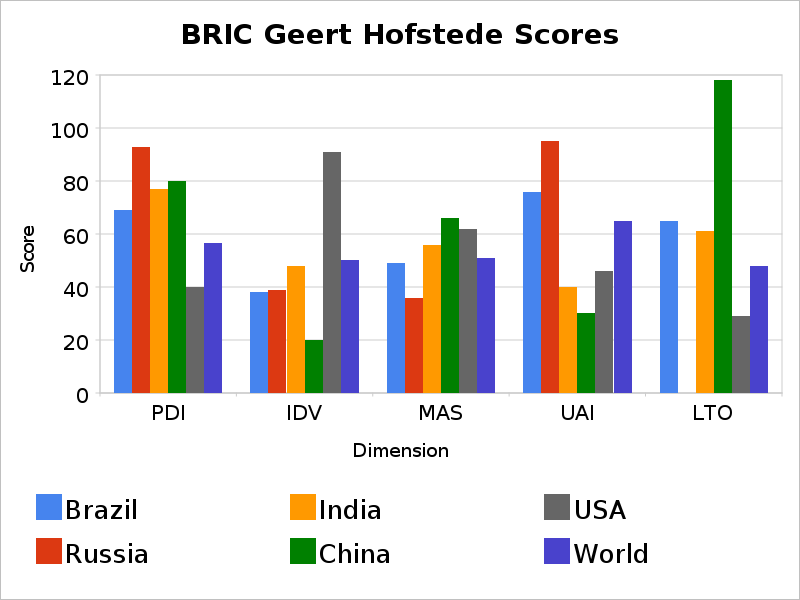 Positions of various countries in the space of cultural measurements by Bond and Leung. 1. Locke, E. A. (1991). The motivation sequence, the motivation hub, and the motivation core. Organizational Behavior and Human Decision Processes, 50, 288-299. 2. “Fairly recently in cross-cultural psychology a new cultural-universal approach was developed for measuring cultural familiarities and differences: a measurement of beliefs or social axioms. Social axioms are the most common beliefs regarding yourself, other people, of social surroundings, physical or spiritual world, and they are the most crucial in the system of personal convictions. Their role is the facilitation of survival and activity of the individual in a physical and social world. A typical axiom has the structure: “A is linked to B”. A and B may be some substances and the connection between them may be causal or correlational. For example, “Good events happen to good people” — is a typical structure of an axiom. Social axioms are different from values which have a form – “A – is good/desired/ important”. A — is a value or a goal. For example, “wars are bad” and “health is good” – are subjective claims, and they be more referred to values rather than axioms. On the other hand, “wars will lead to the death of the civilization” and “health leads to success in work” may be considered as axioms, because each statement contains a link between 2 concrete substances.” — Leung K., Ben L., Bond M., Conway L., Gornick L., Amponsah B., Boehnke K., Dragolov G., Burgess S., Golestaneh M., Busch H., Hofer J., del Espinosa A., Fardis M., Ismail R., Kurman J., Lebedeva N., Tatarko A., Sam D., Teixeira M., Yamaguchi S.,Fukuzawa A., Zhang J. & Zhou F. (2012). Developing and evaluating the social axioms survey in eleven countries: Its relationship with the five-factor model of personality // Journal of Cross-Cultural Psychology, 43(5), 833-857. — Vivid examples of this policy: the conquest of North America, Africa, India, and the whole anglo-saxon colonial system in general. — For example, the Primary Chronicle (Povyest’ Vremennyh Let), the Novgorod and Pskov chronicles. —The Russian word “жрец” (“zhrets”) is a composite word. The letter Ж (Zh – read as French ‘j’) means the word ЖИЗНЬ (Life); the word РЕЦ means “to speak”. A “zhrets” is therefore “one who speaks about life”, and “zhrechestvo” (“жречество”) is a community of zhretses. — Such practice is successfully being implemented over a long period of time, for example in Japan. — C. Doxiadis. Marriage between Nature and City, International Wildlife, v.4, no.1, January — February 1974http://www.doxiadis.org/files/pdf/marriage_between_nature_and_city.pdf. — Demographically defined needs: a type of an individual’s needs, the satisfaction of which facilitates the life of individuals and their families, as well as personal development. — Pricelist invariant: a good, by the quantity of which all other prices of all other products’ are measured in economic exchange. A good for which one may exchange any other good. Previously the price-list invariant was gold, now it is de-facto the US dollar. — About the harmfulness of the loan interest for the economy you may read the article “The raise in prime rates of the central bank – an economic operation against Russia in the battle for Ukraine” (Rus)http://inance.ru/2014/03/boevaya-econom-oper/ and “What is the Central Bank preparing for Russia in the fall?”http://inance.ru/2014/08/centrobank/. — In more detail the question of economics was discussed in the round-table in Russian State Duma: “The technological-organizational approach towards economics based on the project ‘Low-Rise Rus’ “. (Rus.) http://newyouthpolicy.org/ru/media-ru/156-gosduma-maloetazka (text and video). — A discussion with the chairman of US newspaper association “Scripps-Howard Newspapers” Mr. Roy Howard on March 1, 1936. Source: Stalin I.V. Works – V.14. – M.: Publishing office “Pisatel’”, 1997. pp. 103-122.